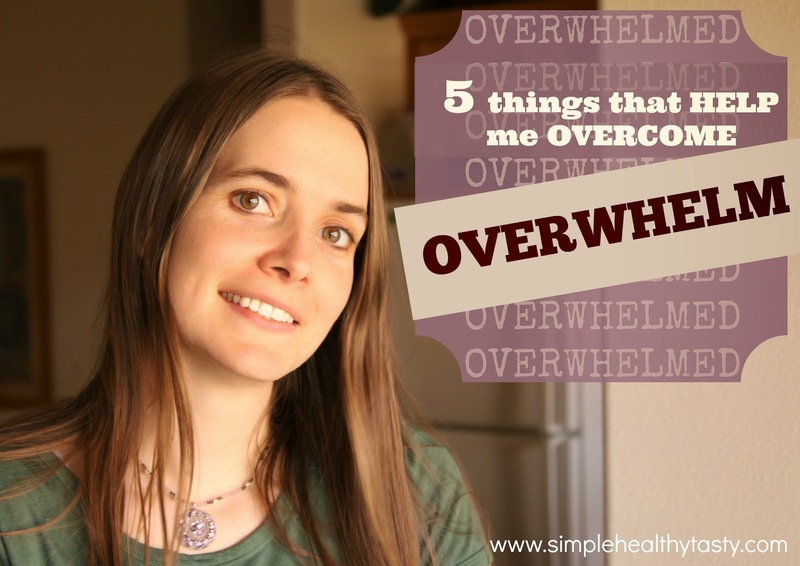 You may not know this about me but I tend to be very easily overwhelmed. Sometimes to the point of near paralysis. I know this can be frustrating for Ryan but I have learned to manage. Being a Mom for over 17 years now has taught me a few things. First thing I STOP and take a few deep breaths. Ryan will know I'm feeling particularly overwhelmed because I will taking big deep sighs. But you know what it really can help. Although it doesn't usually solve it so that's when I go on to the next step. I ask myself: Will this matter 10 years from now? Pretty much every time not only will it not matter ten years from now it will likely not even matter next week and sometimes not even the next day. I find this perspective really helps to keep me grounded and focused on what really matters. It's almost funny how uptight I can get over things that really are of little or no consequence. It really isn't worth stressing over things that don't matter long term. When I realize that, I am able to chill out just a bit and it lifts a large majority of the burden I may be feeling at the time. I eat something! If it can be high in healthy fats, minerals and protein, like a green smoothie with added hemp seed and coconut oil all the better but if that's too overwhelming to make, try to just grab something. A nut mix, celery sticks with peanut butter......just try to make it healthy! (sorry friends chocolate isn't the answer here save that for the big emergencies ;) Nine times out of 10 having a full stomach helps me to calm down and think more clearly. Check the Calendar! No don't look at all the things your not getting done or places you need to be. Look and see where you are in your cycle.....more often then not my biggest overwhelm times come at that time of the month. If that's the case I repeat steps 1, 2 and 3. Then I grab a good book, leave all the "to-dos" undone and take as long of a reading break as I can. (obviously if your kids are really little it won't be for very long but I found even just little "check-out" times are helpful) This usually helps calm me down a lot. I also keep aware that the next few days I may not be myself but remember that it's just PMS and it will soon be over. I also have worked on things that help alleviate PMS.....But that is a post for another time. And since we are speaking of overwhelm have you seen how many books are in The Ultimate Homemaking Bundle? Honestly there is so much to it that it's easy for me to get overwhelmed.....but the overload of info that we have these days doesn't need to overwhelm us it's okay to pick and choose and at such a great price you only need to get like 2 or 3 read and it pays for itself and you certainly shouldn't feel guilty if you can't get them all read. Right now I have only been working on getting two books read. 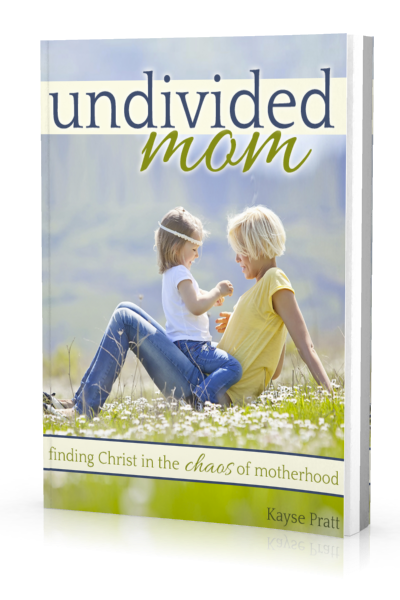 I finished The Undivided Mom last night. And I'm almost through Steady Days! These would be excellent books to read when feeling overwhelmed. Both Kayse and Jamie talk right from the heart and share examples from real life. 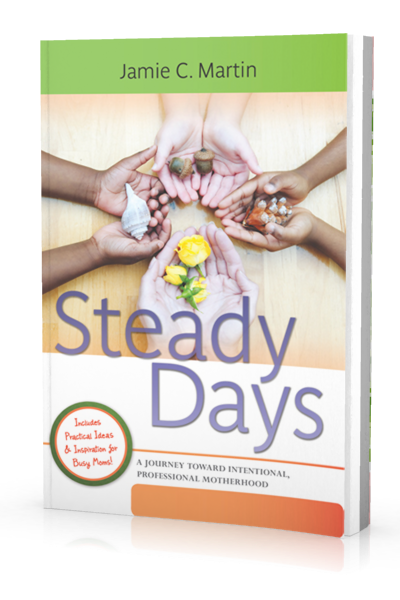 So inspiring and motivating yet comforting....I think every young Mom should read these books! So helpful. Just love much, do the best you can and be sure to give yourself plenty of grace! Thanks for these tips! They will come in handy.